An infrared (IR) detector is a detector which acts in response to infrared radiation. It is a transducer that transforms radiant energy in the infrared into a measurable form. The two primary types of IR detectors are photodetectors and thermal detectors. IR detectors are attaining substantial market penetration; and newer technologies in this market are emerging every day. IR detectors are increasingly becoming prime component of consumer electronics devices such as smart TV, smartphone and others. High demand for security at commercial environments such as airports, offices, hotels and hospitals is expected to boost IR detector market growth. Rising demand from consumer electronics applications such as smart TVs, tablets and smartphone is also expected to drive the sales of IR detectors in the near future. Moreover, factors such as lower price of IR detectors in forthcoming years and use of night vision ability in military applications are supporting the growth of IR detectors market. Additionally, development of IR detectors in terms of size, weight and power and emergence of large consumer electronics applications are acting in the favor of IR detector market growth. However, government regulations and high cost of technologies such as mercury cadmium telluride (MCT) and Indium gallium arsenide (InGaAs) continue to be prime challenge for the growth of IR detectors market. The U.S. and Japan are the leading regions for IR detectors market owing to the presence of the largest manufacturers of IR detectors in these regions. The market is segmented by technology, spectral range, end-user sectors and applications. Types of IR detectors based on technology include mercury cadmium telluride (MCT), thermopyles, InGaAs, microbolometers and pyroelectric IR detectors. Based on spectral range, IR detectors can be categorized into short wave infrared (SWIR), long wave infrared (LWIR) and mid wave infrared (MWIR) detectors. These IR detectors are being used in multiple end-user segments such as military, medical, scientific, automotive, security and industrial areas. Common applications of IR detectors cover rail safety, flame detection, gas leak detection, alcohol level testing for driving under influence (DUI), petroleum exploration, anesthesiology testing, space operations, water and steel analysis and temperature sensing. Additionally, IR detectors are being used in thermal night vision goggles. IR detectors assist night flying, night driving, and night surveillance, wildlife observation and search, sleep lab monitoring and rescue missions. 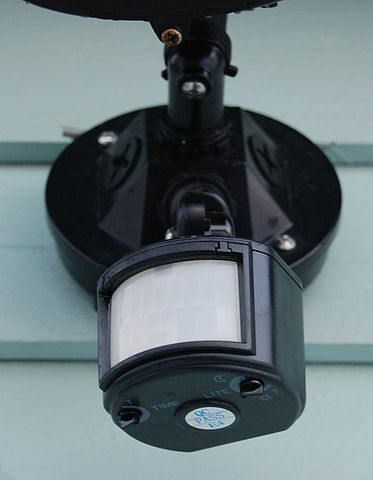 IR motion detectors are applied in home alarm systems as well. LWIR detector market is the prominent market and growing at highest rate, primarily, due to its wide application range and low price. Thermopyle, microbolometers and pyroelectric technologies are popular within LWIR spectral range. InGaAs and MCT are costly technologies, and are very popular in military applications. By way of development of new products and progression of IR technologies, InGaAs and MCT are applicable for a broader range of products namely spectroscopy and bio-medical imaging. Prominent players in the market include Excelitas Technologies Corp., Hamamatsu Photonics KK, FlIR Systems Inc., Melexis NV, Omron Corporation, Murata Manufacturing Co. Ltd., Raytheon Co., ULIS, Texas Instruments Inc. and Vigo System S.A. among others.